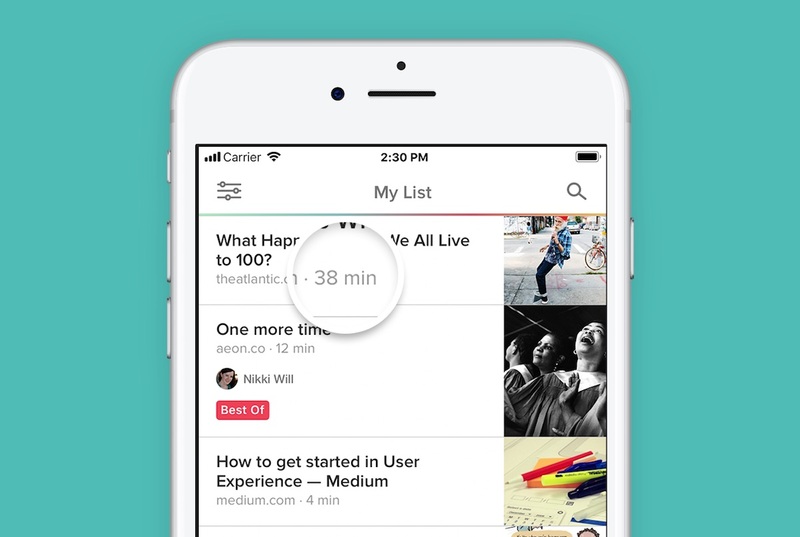 The developers behind read-it-later service Pocket this week announced a new update for iOS and Android that will give users a simple but useful glimpse into how long each article will take them to read. After updating to version 6.6.16 on the iOS App Store, the Pocket app for iPhone and iPad will display time estimates "for every article and video" that has been saved. The time estimates will be located below the titles of each saved piece of content, to the right of the URL. At launch, time estimates are available on devices set to English, but the Pocket team said that it plans to add support for more languages "in the near future." The developer is also working on introducing time estimates to Pocket for Web down the line. You’ve told us that it would be helpful to know how long it takes to start and finish each item in your list, and now you can! When you open Pocket on your phone or tablet, you’ll see time estimates for every article and video you’ve saved, right below the title. So the next time you have 3 minutes waiting for an appointment, 10 minutes on your commute, or are unwinding on the couch after a long day, open up Pocket and find a story that suits your moment. Pocket is a service available across multiple platforms that lets users save any web page to revisit later, be it an article, video, recipe, shopping item, or other similar pieces of content. This way, users can save an article on Safari for iOS using the Share Sheet extension, and then look at it a few days later on the Mac app, even when they're offline. Just over one year ago Pocket was acquired by Mozilla, and at the time Mozilla stated that the Pocket would become a wholly owned subsidiary of Mozilla Corporation and part of the Mozilla open source project. Mozilla said that Pocket's core employees and technology would help accelerate its Context Graph initiative, while promoting the discovery and accessibility of high quality web content. One of Pocket's biggest rivals in the read-it-later app space is Instapaper, which itself was acquired by Pinterest in 2016. This is an excellent feature addition. I love pocket and had been using another service to add tags to all my articles with estimated reading times. Happy to see they listened to customer feedback and added this handy feature.